I am the first to admit, I am not a huge fan of winter. I will take a humid, sticky, Niagara summer day over snow when given the chance. 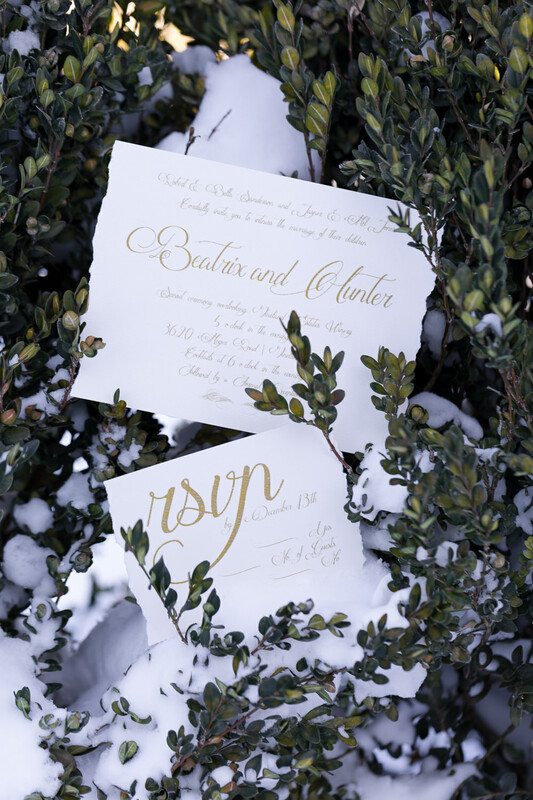 However, after seeing these images come to life of our winter wedding inspiration at Vineland Estates Winery, I may be a more appreciative of the beauty of winter. This week, our Ice Wine inspired photoshoot was featured on Niagara's, Vineyard Bride. Shot by Adrienne Gelbart Photography, you can see the link for the rest of the vendors and full post HERE. If you haven't had a chance to check out Vineyard Bride yet, along with the Swish List (a collection of some of the most amazing vendors, including ourselves! ), as well as look into their upcoming bridal show in April at Honsberger Estates, then do yourself the favour and look into it! Some daily wedding inspiration showcases some of the best of the best that Niagara has to offer!